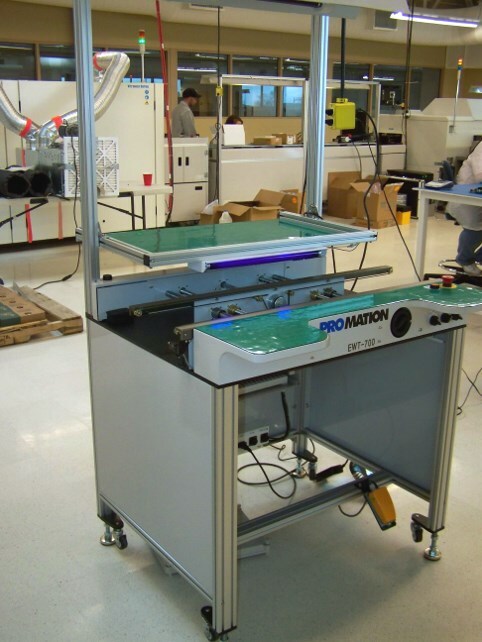 The WT Inspection conveyors are used to inspect PCBs or hand insert additional components prior to reflow or wave. 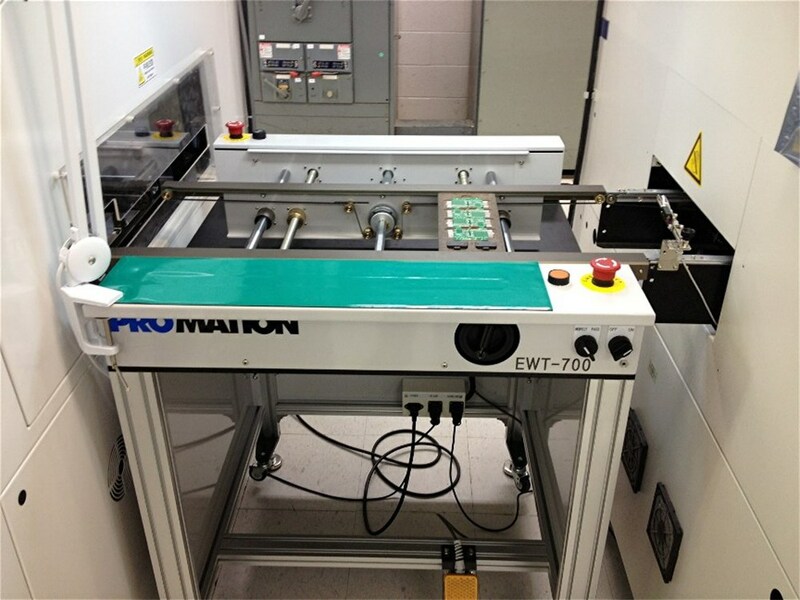 PCBs are transported on 3mm ESD edge belts. This unit provides an intelligent pathway between machines / processes via SMEMA interface and uses PLC timers to track PCB progress. 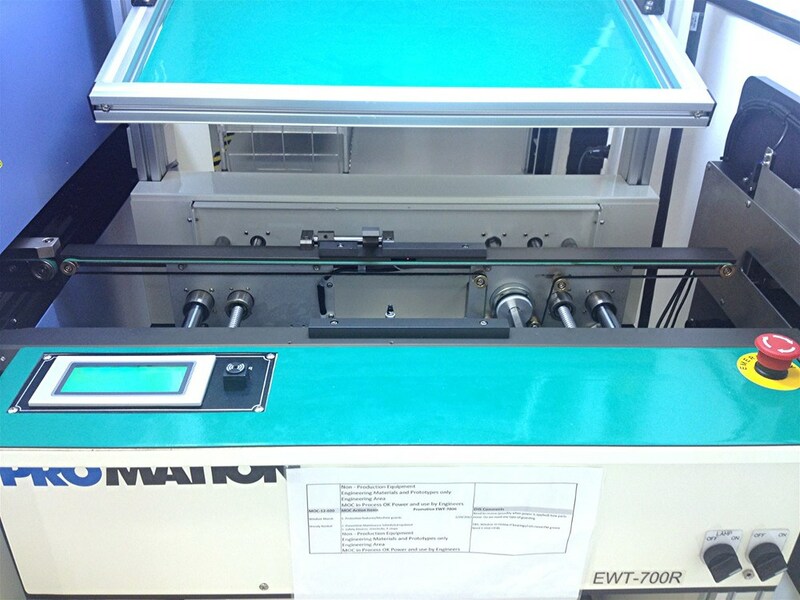 A hand crank is used to adjust rail width which folds neatly back into the panel so it never gets lost. 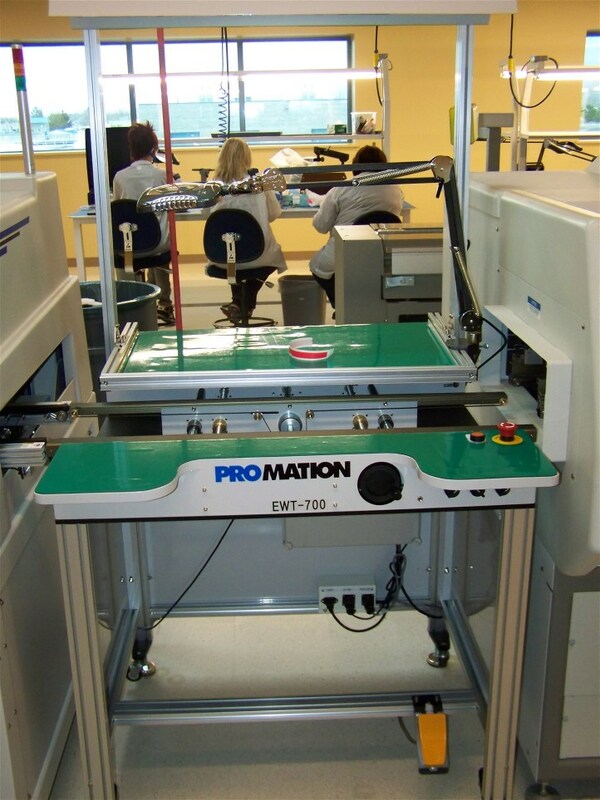 Roller wheels and leveling feet allow for quick integration into any SMT line. ESD grounding receptacle (Optional) and Audible alarm. Overhead lighting with On / Off switch. Powder coated vanity panels, "PROMATION White" or "Light Gray". Semi-circle or straight front work surface (optional). Adjustable rear parts tray (optional). Jumper for non-SMEMA reflow (optional). Check and Pass mode selector switch (foot pedal release). Dual E-Stops (Optional) and master On / Off switch. Left to right process flow - front fixed rail (standard). Right to left process flow - front fixed rail (optional).